Will Guns Win the War Against ISIS? 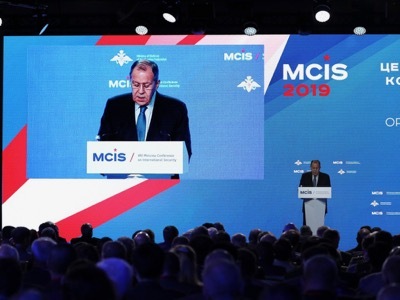 I am grateful for this invitation to once again speak at the Moscow Conference on International Security organised by the Russian Ministry of Defence. On behalf of the Ministry of Foreign Affairs, I would like to welcome its participants coming from various countries and multilateral organisations. Do messages in the media/popular culture contribute to ideologically motivated terrorism? In Iraq, suspected ISIS sniper kills PMF (Hashd) member at security checkpoint on outskirts of Khanaqin in northeast Diyala Province.